The attorney general recently issued two orders in cases involving the bond eligibility of aliens who have been found to have credible fear. 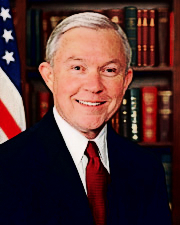 His ultimate decision in the second one will likely mandate the detention of tens of thousands of aliens annually until their claims for asylum, withholding of removal, and protection under Article 3 of the Convention Against Torture (CAT) can be decided, and will probably have a significant impact on the number of aliens entering the United States illegally. In a September 25, 2018, post, I discussed Matter of M-G-G-, a case that the attorney general had directed the Board of Immigration Appeals (BIA) to refer to him for review. At issue in that case was whether aliens screened from expedited removal proceedings under section 235(b)(1) of the Immigration and Nationality Act (INA) after illegal entry could seek bond from the immigration court in removal proceedings under section 240 of the INA. As I noted in that post: "This is an issue raised by the Supreme Court's recent decision in Jennings v. Rodriguez." Thereafter, the respondent in question was removed from the United States to Guatemala, so the attorney general had to start all over again. First, he had to issue an order stating that he would not be reviewing Matter of M-G-G-, after all. Then, he had to identify a new case for review, Matter of M-S-. The issues will remain the same, only the respondent (and the case name) will change. The issue in those cases is significant, but easily lost in the terse nature of the attorney general's order, and the various decisions and references to the Immigration and Nationality Act (INA) at issue. To underscore this fact, and render my prior post more intelligible, let me reiterate. I say that it would "appear to mandate" detention, because that is not how the BIA saw it 13 years ago. In Matter of X-K-, a May 2005 case, the BIA held that an alien who was apprehended after illegal entry and placed into expedited removal proceedings is, generally, eligible for bond after a positive credible fear finding. The BIA in that matter did not even consider section 235(b)(1)(B)(ii) of the INA (and it is unclear whether the Department of Homeland Security (DHS) referenced it in its arguments), but rather the BIA based its determination on various regulations and the legislative history of the expedited removal provision from section 302 of the Illegal Immigration Reform and Immigrant Responsibility Act of 1996 (IIRIRA). The term arriving alien means an applicant for admission coming or attempting to come into the United States at a port-of-entry, or an alien seeking transit through the United States at a port-of-entry, or an alien interdicted in international or United States waters and brought into the United States by any means, whether or not to a designated port-of-entry, and regardless of the means of transport. The best way to think of how this provision would apply is to consider an alien at an airport seeking admission who lacks a passport or visa, or who has presented the passport of another. The U.S. Customs and Border Protection (CBP) officer can simply order such an alien removed under the expedited removal provision, without the alien ever being presented to an immigration court or placed in removal proceedings. In IIRIRA, Congress also gave the attorney general (now the Secretary of Homeland Security) the authority, under new section 235(b)(1)(A)(iii) of the INA, to apply these expedited removal provisions to aliens who have not been admitted or paroled into the United States, and who have failed to affirmatively prove to an immigration officer that they have been physically present in the United States for a continuous period of two years prior to the determination of inadmissibility. That is to say, aliens who entered illegally within the past two years. The purpose of these provisions is to expedite the removal from the United States of aliens who indisputably have no authorization to be admitted to the United States, while providing an opportunity for such an alien who claims asylum to have the merits of his or her claim promptly assessed by officers with full professional training in adjudicating asylum claims. Section 235(b) is applicable, should the DHS secretary choose to extend it by rule, to any alien, anywhere in the United States, who has not been admitted or paroled, and who cannot prove to the satisfaction of the immigration authorities that he or she has been continuously present in the United States for at least two years. The secretary has failed to apply the expedited removal provisions to aliens who entered illegally that expansively, however. Rather, in a notice published in the Federal Register on August 11, 2004, the then-secretary opted to apply the expedited removal provisions under this authority only to those aliens physically present in the United States who entered illegally, "who are encountered by an immigration officer within 100 air miles of any U.S. international land border," and who have failed to prove to an immigration officer that they have been physically present in the United States for 14 days or more "immediately prior to the date of encounter". (i) In general.-An alien present in the United States without being admitted or paroled, or who arrives in the United States at any time or place other than as designated by the Attorney General, is inadmissible. That said, again, section 212(a)(7) of the INA renders inadmissible aliens who do not have proper entry documents. There is no reason for an alien who has the documents necessary to be admitted to the United States legally to enter the United States illegally, and therefore, the vast majority (if not all) aliens who are inadmissible under section 212(a)(6)(A) of the INA are inadmissible under section 212(a)(7) of the INA, as well. Thus, the vast majority (if not all) of the aliens who have entered illegally and fall within the secretary's application of section 235(b)(1)(A)(iii) of the INA (illegal entry with apprehension within 14 days and 100 miles of the border) would be subject to expedited removal. This accords with section 235(b)(1)(B)(ii) of the INA, set forth above. This is pretty straightforward, I would think, and settles the question of whether aliens who entered illegally who are subject to expedited removal proceedings are eligible for bonds. They plainly are not. The DHS argues that notwithstanding the fact that the respondent is now in "normal non-expedited removal proceedings" under section 240 of the Act and thus cannot have an expedited removal order entered against him, even if he does not prevail on his applications for relief, it nonetheless retains exclusive custody jurisdiction over the respondent. The Act is silent, the legislative history suggests otherwise, and we are not persuaded that there is regulatory authority for the DHS's position that such aliens are not eligible for a bond hearing before an Immigration Judge. H.R. Conf. Rep. No. 104-828, at 209. With due respect to the BIA, almost everything about this statement is wrong. First, as noted, section 235(b)(1)(B)(ii) of the INA ("the alien shall be detained for further consideration of the application for asylum") (emphasis added) is about as clear with respect to detention as it could be. New paragraph (b)(1) provides that if an examining immigration officer determines that an arriving alien is inadmissible under section 212(a)(6)(C) (fraud or misrepresentation) or 212(a)(7) (lack of valid documents), the officer shall order the alien removed without further hearing or review, unless the alien states a fear of persecution or an intention to apply for asylum. ... The provisions also may be applied, in the sole and unreviewable discretion of the Attorney General, to an alien who has not been paroled or admitted into the United States and who cannot affirmatively show to an immigration officer that he or she has been continuously present in the United States for a period of 2 years immediately prior to the date of the officer's determination. Respectfully, no regulatory authority (or even legislative history for that matter) is necessary where the underlying legislation is as clear as section 235(b)(1)(B)(ii) of the INA. But, again, the August 11, 2004, notice (as cited above) is pretty straightforward as well. In any event, Justice Alito, writing for the Court in Rodriguez, held that section 235(b)(1) of the INA "mandate[s] detention of aliens throughout the completion of applicable proceedings and not just until the moment those proceedings begin." Frankly, this conclusion could not be clearer, and the attorney general in Matter of M-S- Is required to overrule Matter of X-K-. As a result, all aliens referred to removal proceedings following a credible fear determination under section 235(b) of the INA will be subject to mandatory detention, without the possibility of bond redeterminations by immigration judges. Here is the practical effect of such a ruling: In June 2018 (the last month for which statistics are available), U.S. Citizenship and Immigration Services (USCIS) found that 7,472 aliens have established a credible fear, and likely almost all were referred for removal proceedings. The month before, the agency found that 8,079 aliens established credible fear. As of June 2018, 55,562 aliens have been found to have credible fear in FY 2018. Under the inevitable decision of the attorney general in Matter of M-S-, every one of those individuals would have been subject to mandatory detention until an immigration judge could make a determination as to whether they were eligible for asylum, withholding of removal, or protection under Article 3 of the Convention Against Torture (CAT). As well any future credible fear claimants. There is no reason to believe that the number of aliens entering illegally who are seeking credible fear will slow anytime soon. If they were subject to mandatory detention upon arrival in the United States, however, that will likely change, quickly.